Burgdorf/CH, 11 March 2016: In a move to expand its innovative capacities, SANITIZED AG, provider of the most extensive portfolio of antimicrobial products for the plastics and textile industries, has opened the new SANITIZED TecCenter at its Burgdorf/CH head office. Customers benefit from active product development and optimization support for premium hygiene function and material protection, tailored to each individual production process. R&D Support for odor management in textiles is a further key priority. Which Sanitized® technology is best suited to the application technology employed in polymer or textile production and provides the best antimicrobial effect and material protection, for instance for mattresses, kitchen utensils, clothes, technical textiles or floor coverings? This is the type of question that the new SANITIZED TecCenter will answer using a professional, cooperative and efficient approach. Support for application technology issues, microbiological tests and a range of analyses are all delivered from one source. SANITIZED helps customers develop new products with integrated hygiene function, material protection against defined aggressors, such as UV irradiation or mold, and odor management in textiles. The enhanced innovation capabilities include testing facilities for polymer and textile coatings. 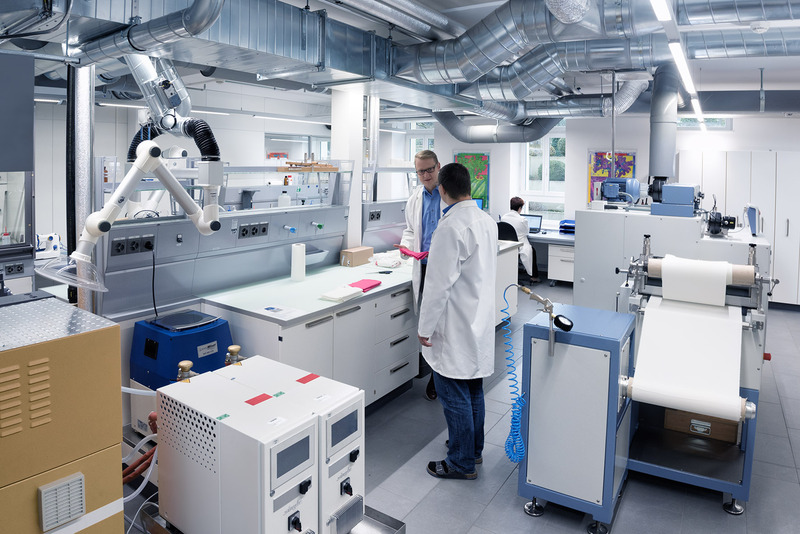 The new SANITIZED TecCenter has the equipment required to manufacture plastic films or coating support systems and textiles, benefitting manufacturers of industrial textiles and geotextiles. Repellent plastics and textiles can be subjected to extensive endurance tests, including thermo gravimetric analysis, thermo tests for PVC, heat and cold (jungle test), tension, exposure (QUV/spray, QUV/Se, Sun test XLS+), wash resistance and watering. Textiles can be finished using the pad transfer technique, extraction technique or dye bath method. “The equipment in our new SANITIZED TecCenter, allows us to conduct application tests at laboratory level to advance product developments and optimization which, so far, had to be carried out in customers’ manufacturing processes at great expense in terms of machinery, time and energy,” summarizes Urs Stalder, CEO of SANITIZED AG, in describing the benefits for polymer and textile manufacturers. “In close cooperation with our customers, we can now effectively advance their R&D projects,” continues Urs Stalder. The SANITIZED TecCenter is also equipped to carry out all relevant microbiological laboratory tests. Depending on the envisaged type of protection and applied Sanitized® technology, the center can test for mold formation, odor development, material deterioration, dust mites or bacteria growth – either individually or in combination. A further objective of the new SANITIZED TecCenter consists of testing proven Sanitized® products for new types of application. Customers will derive various benefits: Application of one single Sanitized® product for several different articles not only reduces logistic expenses and transport costs but also allows customers to avoid converting their machinery and vehicle fleets. SANITIZED AG is the leading worldwide producer of antimicrobial hygiene functions and material protection for textiles and plastics. For over 80 years, the company has been undertaking pioneering work in this field and has become an established specialist in comprehensive hygiene concepts. In addition to effective products, the range of services also includes advice on marketing and technical issues, diverse testing services, as well as a well-founded brand and license concept. SANITIZED AG only uses scientifically researched antimicrobial active ingredients that have undergone strictest risk assessments for people and the environment in internationally recognized procedures. More information on: www.sanitized.com.